The WECPTA Kiddie Kloset is the resale of gently used baby, children and maternity clothing, children/baby furniture, toys, games and miscellaneous items. Gymboree gift card raffle at 9:00 a.m.
Avon Lake Girl Scouts are hosting a Winter Wonderland party for preschool to 4th grade next Saturday 12/9 from 10-noon and 2-4pm at the Avon Lake Old Firehouse (100 Avon Belden Rd). For more information, and to register for this event, please see the attached flyer. This is a free family event that Sweet Kiddles Avon Lake Center is hosting for the holidays! On Saturday, December 16th from 11:00 am - 12:00 pm, we invite children and their families to join us for a Polar Express Event! Santa will be visiting us to read the story, followed by a creative craft and snack. If you plan to attend, please RSVP to questionsavonlake@sweetkiddles.com. As a Thank You for joining us, we are also offering a Half Off membership for any family that would like to sign up that day! The Cooperative Preschool of Bay Village would like to invite you to our open houses on Thursday, December 7th and Monday, January 15th from 7-8pm. The open houses will be a great opportunity to learn more about the benefits of a cooperative preschool, meet some of the teachers and current families, tour our classrooms and see our play-based learning environment. We hope you can join us! In-house registration begins January 10th and open enrollment begins January 22. If you are interested in the Co-op but are unable to attend one of the open houses, contact our registrar Nicole Zeck at nmt51981@yahoo.comto set up a tour. See the attached flyer or our website www.baycoopschool.org for more information. 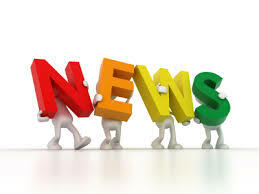 Avon Lake new membership drive is going on NOW! 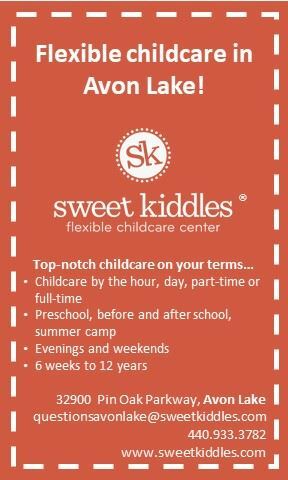 Refer Sweet Kiddles to a friend, co-worker, family, etc and when they visit they get a discounted membership, and you get a chance to WIN prizes worth $150! Please support Teal Pumpkin Project! Help make Halloween safe, inclusive and fun for everyone! Did you know 1 in 13 children in the U.S. has a food allergy? That’s roughly two in every classroom. Display a teal pumpkin outside your home to indicate you have non-food treats available for children with food allergies or other health issues. Non-food treats include stickers, crayons, spider rings, bubbles and other small toys. If you choose to participate, please keep non-food treats separate from any food/candy to prevent contamination. Display this free printable sign, paint or decorate a real pumpkin teal, or purchase one from a local craft store. You can also register your household on this Interactive Participation Map. 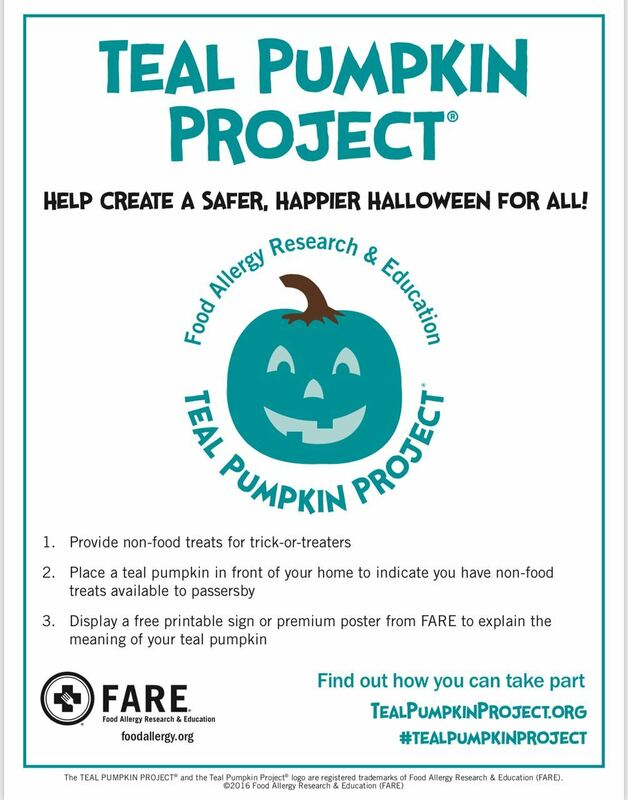 ALECPTA member and food allergy mom Lindsey Geiss shares more info in this blog post and FARE (Food Allergy Research & Education) offers more free resources on its Teal Pumpkin Project website. The Food Allergy Parents of Avon Lake thank you! Have a Happy Teal-oween!